Mobile grocery stores selling fruits and vegetables in a vehicle akin to a food truck will soon be legal in Minneapolis. Current city regulations only allow portable stores to sell pre-packaged foods near senior citizen high rise apartment buildings. As a result, no one has opened a mobile grocery store in the city in recent history, according to a staff report. Several entrepreneurs and non-profits interested in expanding healthy options -- particularly in under-served areas -- approached the city about changing the ordinance. Under the proposal, which passed the city's regulatory committee on Tuesday, mobile grocery stores would be able to operate in commercial, industrial or high-density residential parking lots. They must stay 100 feet from bricks-and-mortar grocery stories and farmers market unless they have permission. Leah Driscoll, representing the Twin Cities Mobile Market, a new program of the Wilder Foundation, told the committee that they have purchased a decommissioned city bus that will serve as their store. The Twin Cities Mobile Market intends to serve low-income areas that have been designated as food deserts, she said, selling fruits, vegetables, dairy, frozen meats and other foods. They plan to launch this summer in St. Paul and hope to expand to north Minneapolis. "Our goal is to make healthy food both accessible and affordable for folks," Driscoll said. 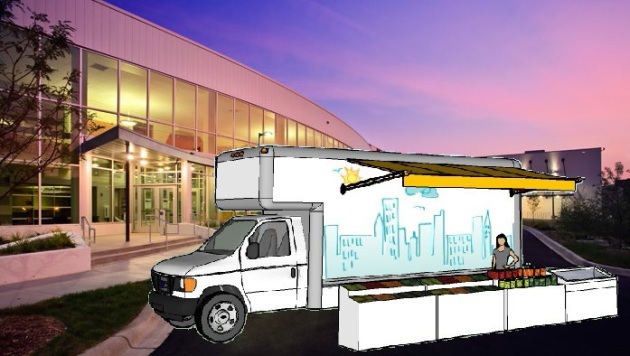 CityKid Enterprises, an initiative of Urban Ventures, has proposed a "mobile farmers market" that would focus on selling fresh food where it isn't available (rendering at top of post). Their truck would accept food stamps and staffed by a nutrition educator, according to a proposal submitted to the city. The mobile store would stock vegetables, bread, meat, dairy and other products. It would park at Bethune and Green elementary schools, Urban Ventures locations and local churches on Sundays. Under the new rules, stores must offer at least 50 items of fruits or vegetables in at least seven varieties. No more than 50 percent of the selection may be one variety of fruit or vegetable. The hours of operation will be limited from 8 a.m. to 9 p.m. The ordinance change must still pass through the full City Council, which is expected to vote on it at a meeting next week. 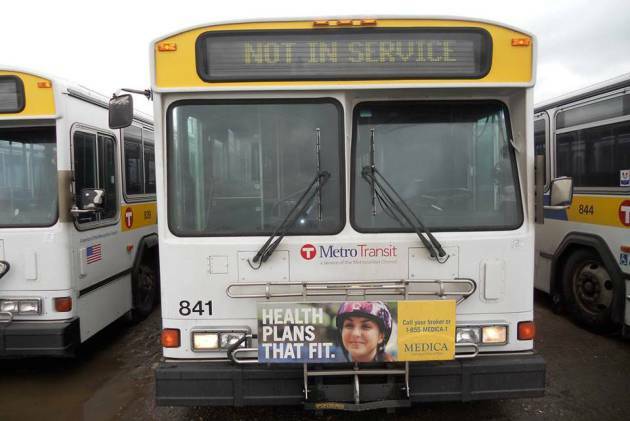 Photos: Bus image from Twin Cities Mobile Market Facebook Page. CityKid rendering from proposal PDF.